Ultra Realistic, low maintenance, 10 Year Warranty and it feels real! How could you say no? 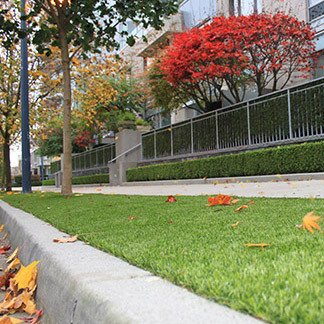 Are you ready to have a lawn that will leave your neighbours drooling? 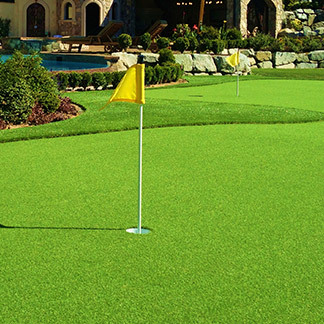 What about a golf green, that even the pros would approve of? 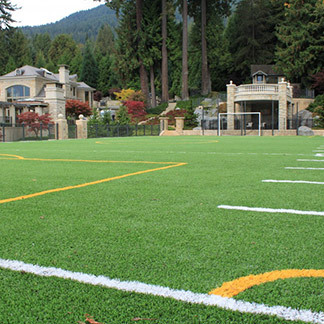 Well that dream can become a reality, with Precision Greens artificial grass. 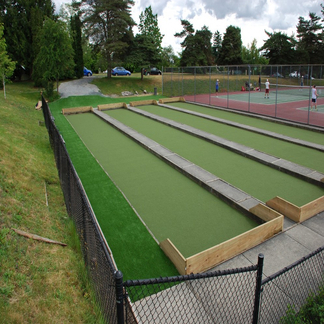 With more than 1100 golf green installations and over 3000 artificial grass installations, we pride ourselves in being able to deliver innovative products and excellent customer satisfaction for over 17 years. From unique designs, styles and materials, we have a wide selection for you to choose from that will give your property the beautiful finish it deserves. 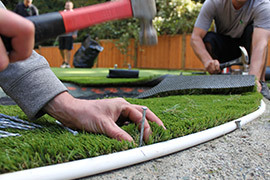 Here is how we can give you the best Hope artificial grass lawn. 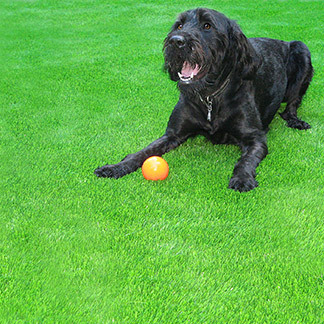 From ultra realistic to minimal maintenance; your new Hope artificial grass lawn will be the talk of the town! 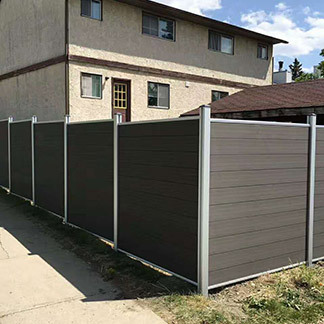 Variety: There are plenty of options available, that will fit any location and give you a superior look to your property. This will guarantee you have the best fit and appearance in any area you desire. 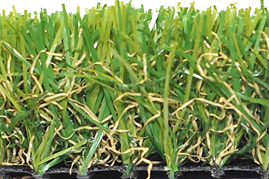 Realistic: The new Wave Blade and U shape technology has created the most realistic artificial grasses available. Incredibly life like, the shape, structure, texture and colour, have been perfectly designed to imitate the real thing. Design: Unlike the real thing, this is made of a strong, durable material able to endure anything Canadian weather has to throw at it. It won’t leave a mess and will keep that rich look all year round. Safe: This is a user friendly product, safe for you, your children and even the family pet. Not only that, it has been tested and proven environmentally safe. 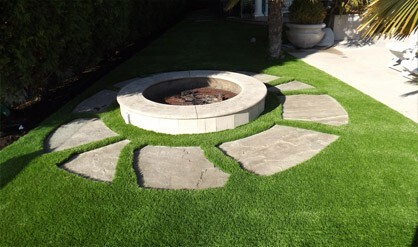 The material is non-flammable, so while other lawns dry out, yours remains risk free. Comfort and Ease: Incredibly comfortable, no one will have a problem enjoying the magnificent area you have created. With low maintenance and easy cleaning, it makes this an ideal product for those who want to save time and a lot of effort but still have a beautiful yard. Easy maintenance: Clean up is the only thing your yard will ever require. Any debris or objects are left sitting high on the blades for a quick and easy removal. While washing it with the hose will rinse away any imperfections and any remaining water will drain right through. Leaving you with that original, rich and luxurious look. 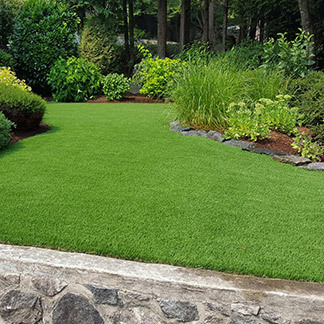 Reassurance: We are proud to offer a 10 year product warranty along with a 3 year workmanship warranty, leaving you worry free while you enjoy your new lawn.